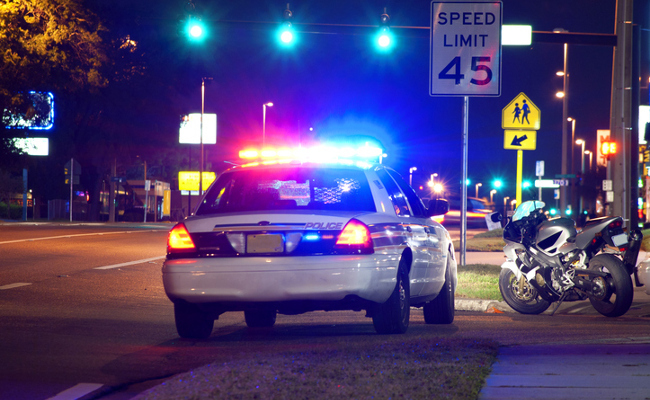 Care2 Causes | How Many US Police Killings Go Unreported Each Year? How Many US Police Killings Go Unreported Each Year? How many Americans die each year from interactions with law enforcement officers? This seemingly straightforward question cannot be answered quite as easily as one might expect. Though one might imagine that police-related deaths are rigorously documented, the reality is far different. Until recently, law enforcement agencies, ranging from the local to federal levels, did not have a mandate requiring that they document and report fatalities. The National Vital Statistics System, or NVSS, is the federal government’s main means of tallying these deaths. The initiative uses data gathered from death certificates, rather than figures reported by departments or agencies. A recent statistical study, aimed at determining the accuracy of the NVSS, took a rather different approach in collecting data on police-related deaths in the U.S. — and it was truly revealing. The collaborative effort involved researchers from institutions including Harvard University and the University of Southern California. While it might not be surprising to learn that their findings did not match the statistics reported in the NVSS, what is truly stunning is just how radically different these numbers came out to be. Pulling data from various sources, including The Guardian’s “The Counted” project, researchers estimated that 1,166 Americans died as a result of police interactions in 2015 alone. And that’s a drastically different number than official statistics published in the NVSS, which reports just 523 such deaths in 2015 – merely 45 percent of the actual total of police-related deaths. One of the biggest gaps in reported deaths, according to the study, appeared in counties with higher rates of poverty, though the study offered no speculation as to why this is was the case. Clearly, documentation of police-related deaths needs to be severely overhauled. The good news, however, is that before the Obama administration stepped aside, U.S. Attorney General Loretta Lynch ordered the Department of Justice to issue a directive requiring that all law enforcement groups document these types of deaths in detail. The first of these reports were due at the end of 2016 — and quarterly, going forward. However, with Jeff Sessions now heading up the Department of Justice, it remains to be seen if this program will continue. And all indications so far do not appear hopeful. Since stepping up as the new U.S. attorney general, Sessions has made it abundantly clear that he has absolutely no intent to continue Lynch’s various efforts aimed at law enforcement accountability and reform. Instead, he has set his sights on revitalizing the failed War on Drugs and dismantling affirmative action. As Sessions redirects the country’s top law enforcement organization’s priorities — away from addressing police abuse and use of excessive force — it should be little wonder why movements like Black Lives Matter exist or why athletes refuse to stand for the national anthem at sporting events. America need lessons from the Brits - they are without doubt the best police and investigative force world wide. They must shudder! There are more than likely more cover-ups of cop killers than we will ever come to realize, given the fact that their reputation precedes them. I'm despising them more and more. Too many of them haven't been held accountable for their killings of innocent people. I donât trust American statistics! For example. The FBI claim that blacks (13%) commit a convenient 52% of the crime! 320,000,000/13%. = 41.6m. With Males (16-45) committing over 80% of the total crime (all ethnicities) Of these 30% of the age demographic have been convicted of a crime (including non violent drug offences eg. Pot) with 500k plus in prison at all times =3m. So roughly 3m black Americans have committed 52% of all crime in the USA. YEAH RIGHT! All those murders and rapes in white on white crime. All those burglaries in Utah and Maine. All that child abuse and murder of spouses. Wow! Black criminals must be working extra shifts travelling up and down the country so they can cover all areas and types of crime while unsuccessfully dodging cops bullets. Repeal the seditious 2nd amendment. cecily w wrote, â â¦ crime--particularly in some cities--is way too high because people have too many children and don;t raise them properly â¦ â. I hope that Cecily is in favor of every woman being provided with safe, legal, affordable, convenient, and effective, contraceptives and abortion. Otherwise cecily is blaming the victims. It doesn't happen here. Why not take the guns out of the populace and it won't happen there either. The only reason America is overrun with guns is because gun maker executives want big salaries and bonuses. Who would like to don a bullet proof vest every day? Sessions gave them carte blanche that they could use anything necessary with little or no repercussions.